A fast-growing Yorkshire digital firm has seen huge success in one of its regular networking events. Leeds-based digital agency, LightStart, runs free innovative events for businesspeople across the city to attend. 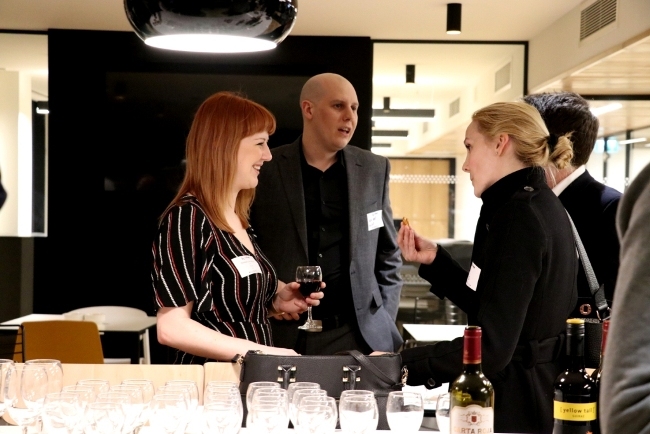 Its most popular event, netWINEing, is an after-work networking opportunity for business leaders to attend, accompanied by complimentary wine and snacks. Founded in 2016 by Simon Edwards and Dan Akers, the company hosts more than 50 events per year, each with a different focus. Since its first netWINEing event in November 2017, the company has hosted six in the last year, welcoming more than 550 online sign-ups and attendees from over 350 different businesses. With almost 1000 glasses of wine poured, the event has become hugely popular among the Leeds business community. The most recent event took place at the CPP Group International Support Centre office space in Leeds city centre from 6-8pm. Attendance for the event was a sell out with more than 120 online sign-ups, a growth of over 110 per cent from the first event a year ago. LightStart co-founder Simon Edwards said: “We are thrilled with the triumph of netWINEing, which has seen a phenomenal growth over the last year.